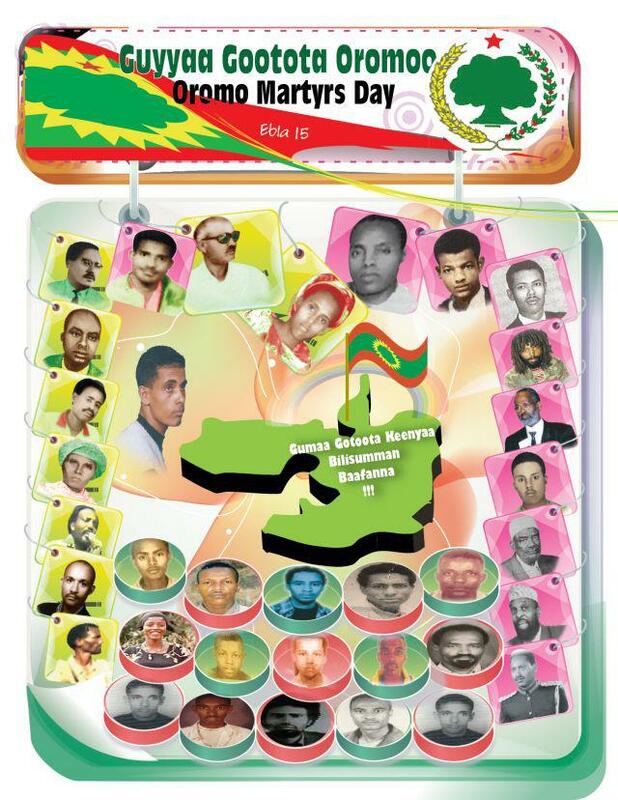 April 15th is Oromo Martyrs Day also known as Guyyaa Gootota Oromo. 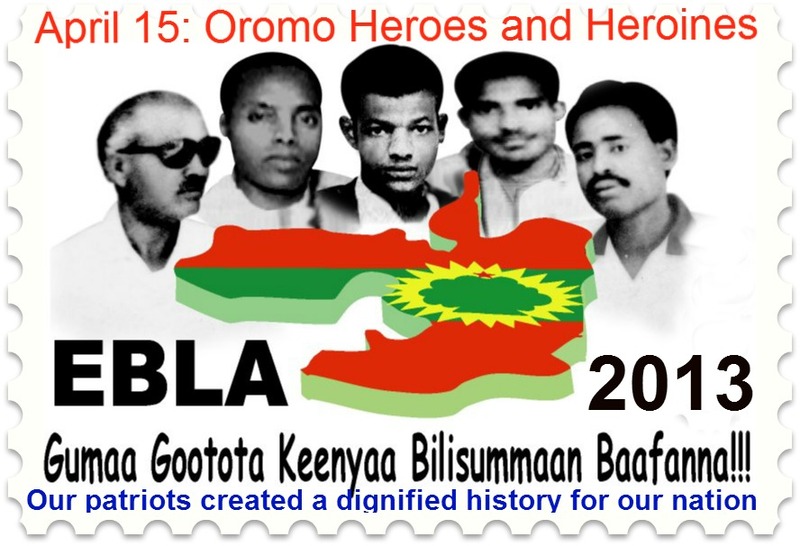 This commemorative day was first started by Oromo Liberation Front (OLF) following the death of its prominent leader’s on diplomatic mission enrouted to Somalia on April 15, 1980. Since then this day was observed as Oromo Martyrs Day by Oromo nationals around the world to honor those who have sacrificed their lives to free Oromia and to renew a commitment to the cause for which they have died. April 15 is then chosen to be a day of remembrance for these and all other Martyrs that died in any month and season of the past 120 years.